Synopsis: An ex-hitman comes out of retirement to track down the gangsters that took everything from him. John Wick is one of those movies you would most likely not give a second look. The premise behind it is a tad wonky: An ex-hitman goes on a killing spree because they killed his dog. 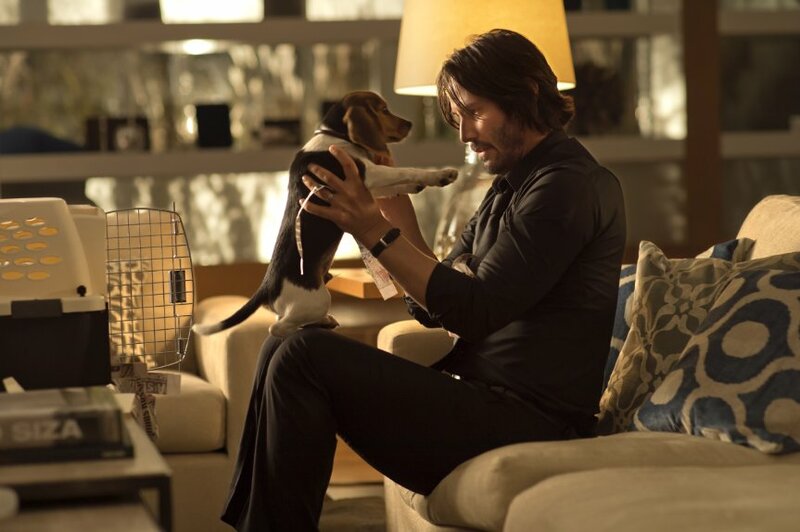 However, John Wick is a ton of fun and the action is so out there that you almost can’t help but enjoy yourself and have fun. John (Reeves) is mourning the death of his wife Helen (Moynahan) when he receives a puppy. The puppy, named Daisy, was her way for making sure John could cope with her loss. John looks like he’s doing okay until he goes out and ends up at a gas station where he encounters three gangster lead by Iosef (Allen). What seemed like just a minor annoyance becomes more when they break into his house, beat him up, kill the dog and steal his car. 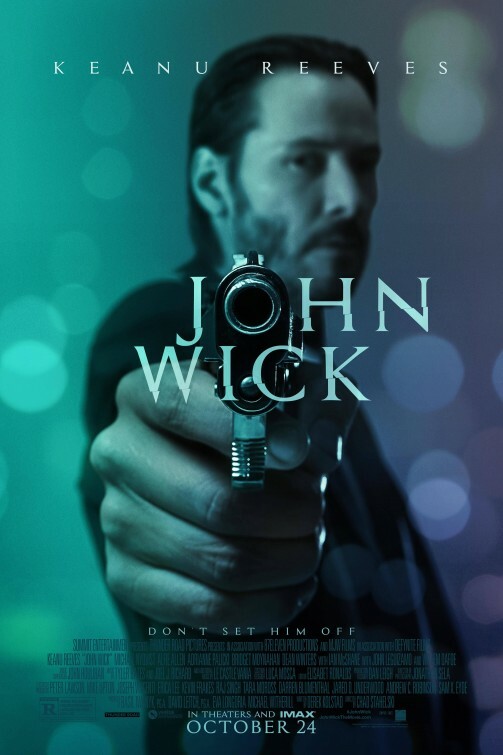 Unfortunately, and unbeknownst, to them, John Wick is a retired hitman who managed to get out of the life, but before he did, he was considered “the person you send to kill the Boogeyman.” Wick then comes out for one last job of revenge and will stop anyone who gets in his way. He then finds out that Iosef is the son of a kingpin that he use to work for in Viggo (Nyqvist). The interesting thing about the movie is that is throws you into the criminal underground world. When Iosef steals Wick’s car he takes it to a chop-shop owned by John Leguizamo’s Aureilo, who immediately knows whose car is it, punches him and demands he leaves. When Aureilo gets a call from Viggo and asks for answers, he tells him what his son did and gets a reaction which borderlines funny, ridiculous, and serious. Wick never runs into anybody that isn’t a killer. He even stays at a hotel known as The Continental, which is run by Management, and is a safe haven/hotel for killers. There are also transactions done by gold coins. They have a code pretty much. This could also be a bit of a negative because when you see all of this, you kind of want to know more about this society, but we are left following John Wick killing people, which is okay. 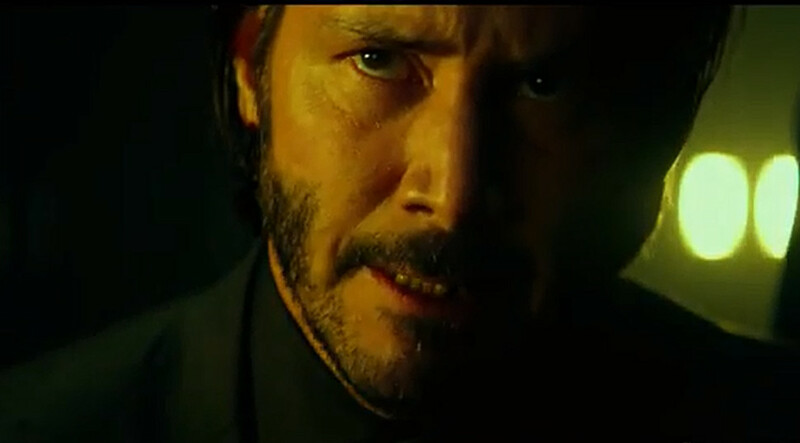 Reeves could have gave Wick a wooden performance and taken the role to serious or even not serious enough. But Reeves gives a good range of emotions throughout the movie. Someone mentions that John looks vulnerable for the first time and Reeves actually gives us that. You do believe that John Wick was this most feared assassin by the way everyone treats him and takes him coming after Iosef seriously. The villains are rounded up by Michael Nyqvist’s Viggo, Adrianne Palicki’s Perkins, Daniel Bernhardt’s Kirill and Dean Winters’ Avi. Nyqvist is a no nonsense kind of guy and even punches his own son and calls him out when he finds out what he did. Winters doesn’t have a lot to do but give a couple comedic lines and be Viggo’s personal assistant. 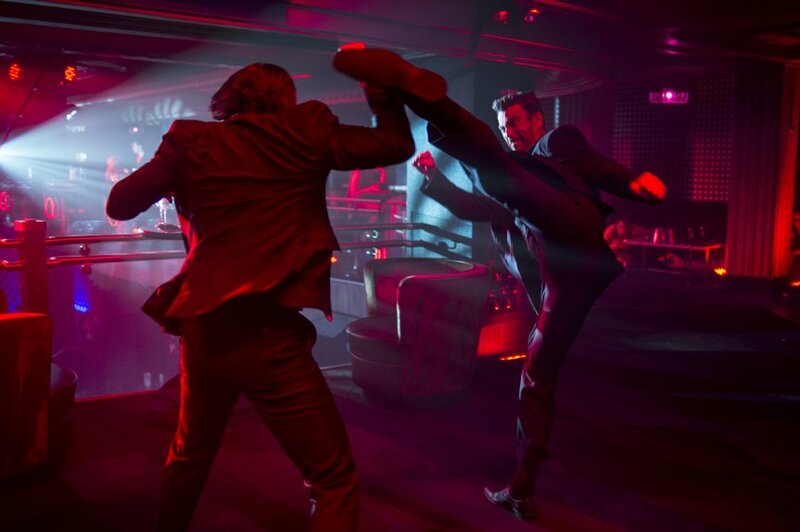 Bernhardt becomes Iosef’s protector and has some great fight sequences with John Wick. Palicki unfortunately is kind of forgettable, which is a shame because I do like her. Willem Dafoe and Ian McShane pop up as old friends to John and are the last “members of the old guard.” But are only in the movie for short amount of times, but are still welcomed additions. Even Alfie Allen, who is the major reason why the events of the movie takes place disappears often and by the time he comes back you wish Wick would just kill him. Of course, you’re not going to watch this movie for the acting. You’re going to watch this movie for the balls to the wall action. Well, you’re in luck because John Wick has that and then some. 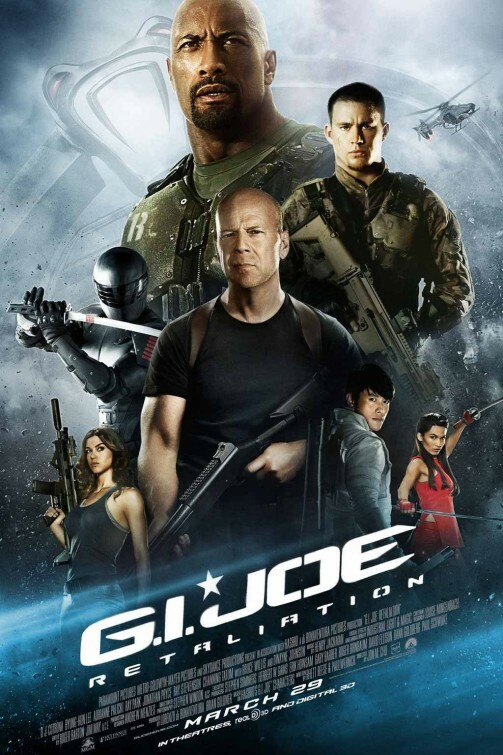 It’s appropriate because the movie is directed by stunt men David Leitch and Chad Staheiski, which shows during the action sequences because they are done so well and filled with combinations of martial arts and gun-play (or ‘Gun Fu’ as some call it) which leads to some brutal and some satisfying deaths. The action is great and you’re giving time to enjoy it. Killing for John is almost second nature. He makes kill after kill with extreme precious and doesn’t hesitate to kill anyone that has the great misgiving by being in front of him. One particular action sequence stands out to me and has a great combination of action choreography, background music, and cinematography. They care about the action and none of the fight scenes have shaky cam which action/fight fans will most likely appreciate. However, I will say the last shootout is a bit underwhelming, especially after the other scenes. All in all, John Wick does have some missteps but overall is a hell of a ride. The story might not be sound or all there but the action sure as hell makes up for it.